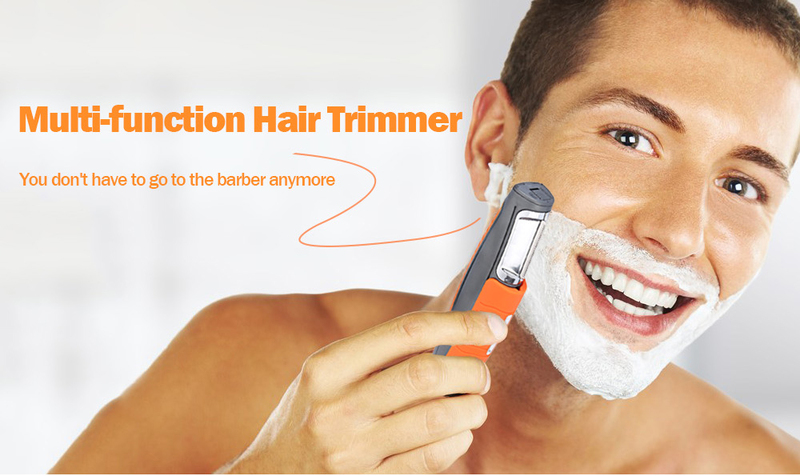 This trimmer is a multi-function hair trimming tool. It includes a top small blade and a bottom large blade. The small blade can comfortably shave eyebrows, nose hair, etc. The large blade is used for the haircut. In addition, four differently sized combs can be mounted on the blade to determine the length of the hair. 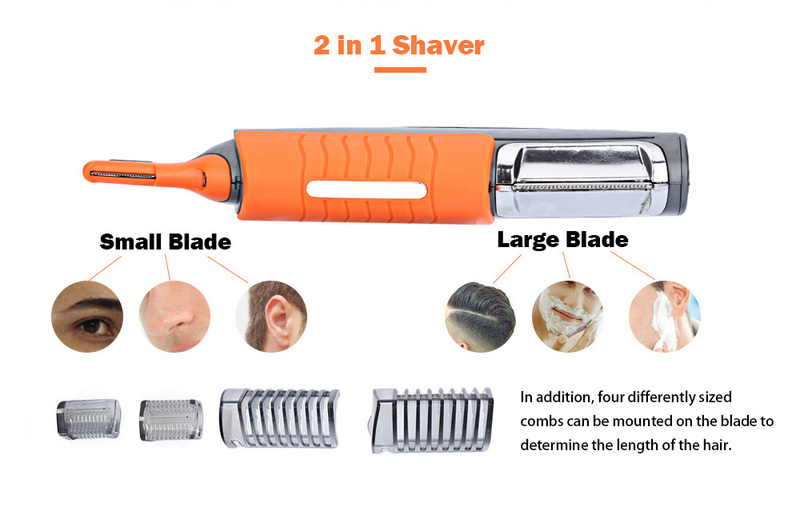 Dual ends are available, one end for trimming nose hair, eyebrows, mustaches, the other end for haircut. 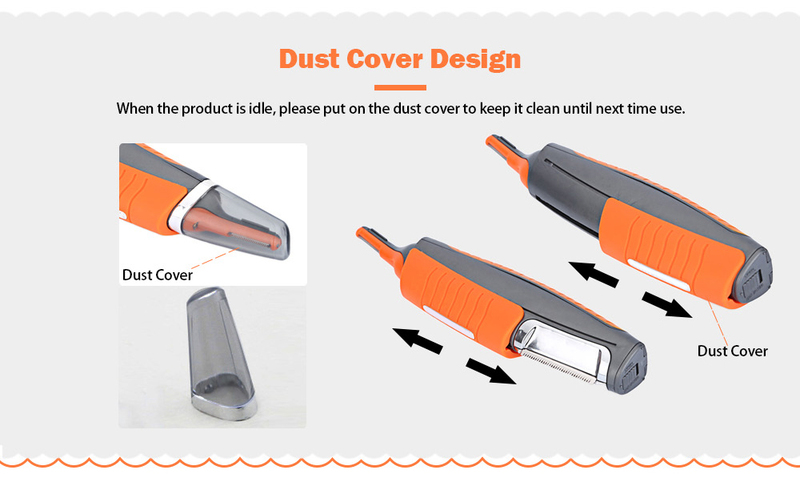 Before use, please see the instruction, it can help you to know how to use the item. Thanks! Easy to handle design and built-in LED light, rubber anti-skid handle allows you to be more firmly in your hand. Each end is equipped with two different sizes of comb, convenient for you to control the length of the hair. Integrated design, easy to use and carry. Perfectly grooms bushy eyebrows and removes unsightly ear hair. Main materials: ABS+ stainless steel blade. Powered by: 2 x AAA battery (not included). You need put the battery positive （+） into the above. Note: Micro trimmer will not turn on unless the full size trimmer head is locked in the down position.